One of the side benefits of doing this, is I like to stuff the baggie in whatever coat pocket I am wearing. Sometimes I forget it's in there and then find it randomly when I wear that coat again. A couple weeks ago I found a single old crumbly flake of something.. who knows what it was, but it was glorious! It's better than finding a dollar in an old pair of jeans. For mixtures and flakes, I use a paper plate. For plugs and ropes, I use a cutting board used only for tobacco to cut it then transfer to a paper plate. Where I live, it's not uncommon for the humidity to be upwards of 100%. The paper plate helps the tobacco to dry. Where I live, it's not uncommon for the humidity to be upwards of 100%. Usually people just say "it rains here a lot"
Nerdy sidetrack - It's not really possible for outside, atmospheric air to be above 100% humidity as this literally means that the air has reached maximum water vapor content without it condensing into droplets. Go beyond that threshold and the water condenses and falls.. rain. It never actually exceeds 100% because rain causes the water vapor levels to drop, thus maintaining equilibrium. It is possible to go beyond 100% RH, but only in lab environments that are completely devoid of particulate.. basically totally pure air. Back to your normal tobacco platter scheduled program.. I ended up finding this dish at the thrift store. 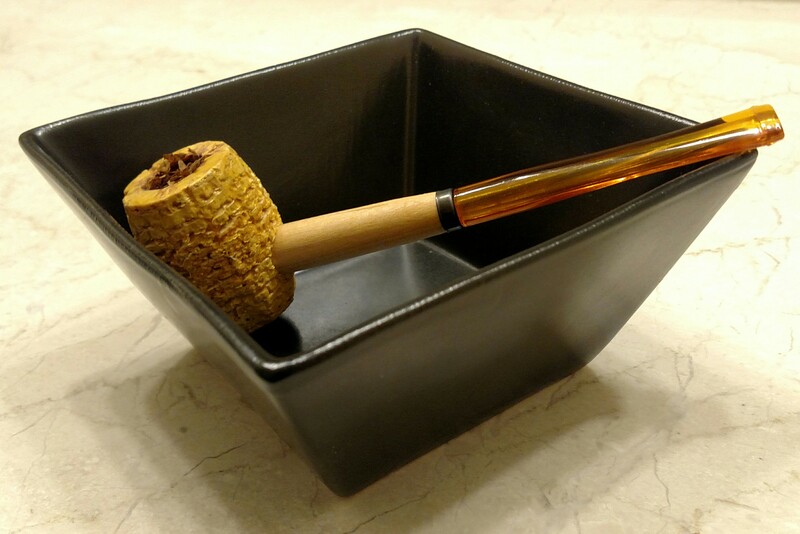 The corners make it easy to pour my spilled tobacco back into the pipe or jar. I also have a scrap of leather but am always on the lookout for a cool old plate. 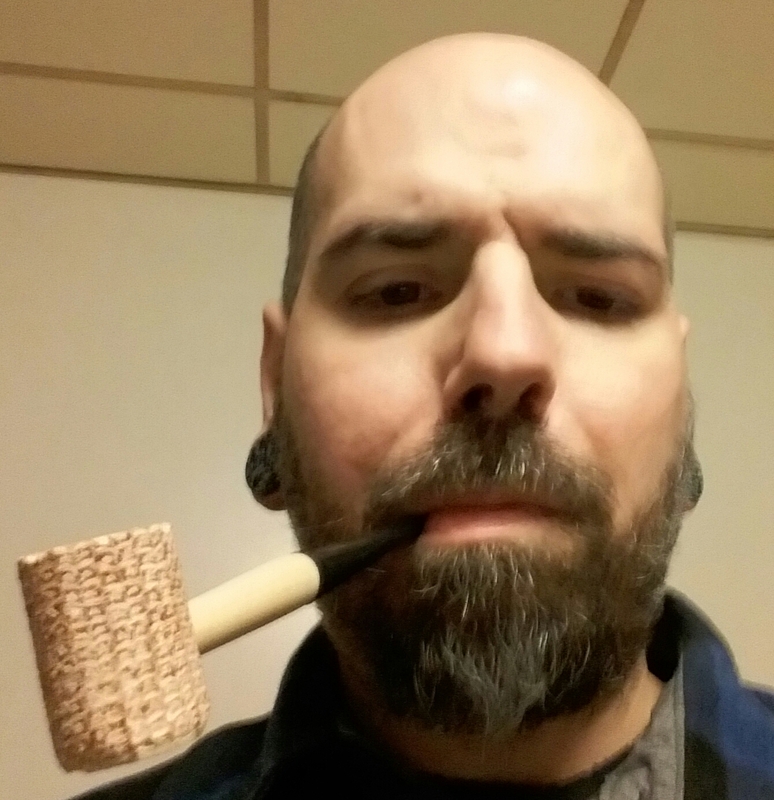 Question: is there a general rule of thumb I can abide by to understand when my tobacco is properly dry? I have a old and ugly plate. It is the surviving member of a set that I picked up used many, many moons ago. No telling how old it is or how many meals have been eaten off of it. It broke about a while ago but I couldn't bring myself to toss it. I had a bright idea to use it as a tobacco plate a couple months ago. I glued it together with silicone. There are a couple chips missing, but who cares? I'm happy that it is a productive member of society again. There is always "a heck of a lot and more than you" humidity too. That removes the need for numbers.